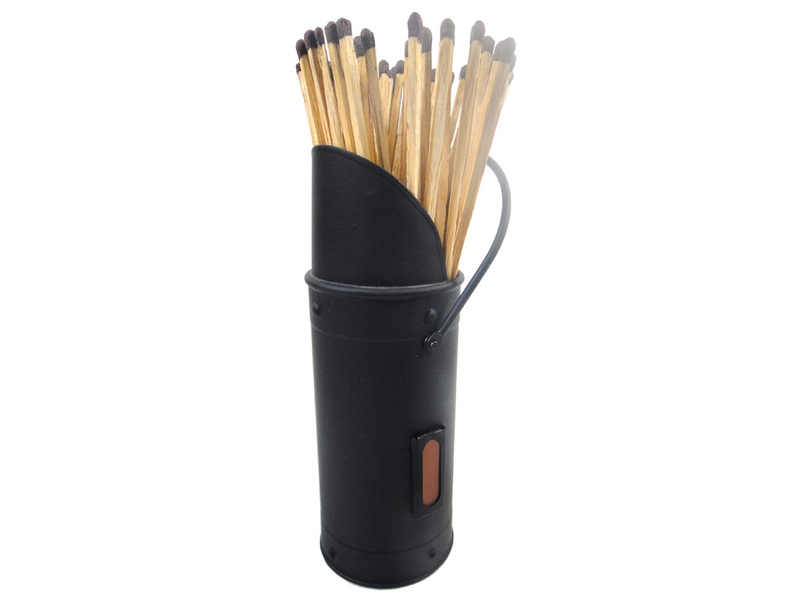 Black match holder in the shape of a coal scuttle with a match striker on the side. Match holder measures approximately 20cm (8") tall by 8cm (3.25") in diameter. Comes with approximately 50 extra long fire lighting matches, approximately 25cm (10") long. Decorative piece that is ideal to sit at any fireside.